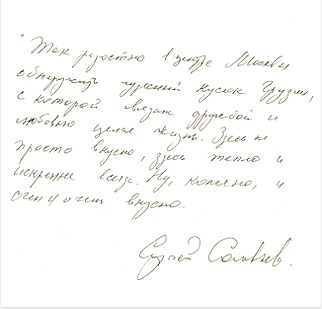 ‘Sakhli’ is a Georgian word that means ‘home’ and that is the key to understanding the atmosphere that we are trying to maintain at our restaurant, so that our guests can feel they are always warmly welcome and highly appreciated, as in any recommendable Georgian home. Our interior comprises both classic and contemporary pieces of Georgian household. 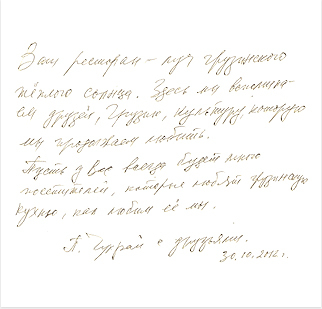 Same concept applies to our menu where one can find best-served classical Georgian dishes, as well as modern compilations, such as our signature crayfish satsivi. Apart from the cuisine, Sakhli is also about culture – we regularly host artistic events such as picture exhibitions and musical concerts of piano or light ethnical music. 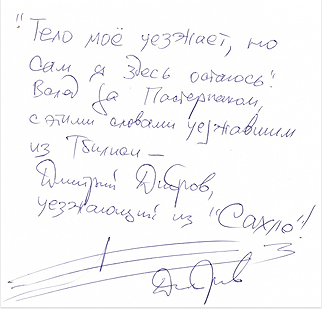 No one can tell better about Sakhli than our guests (please see testimonials in Russian below).